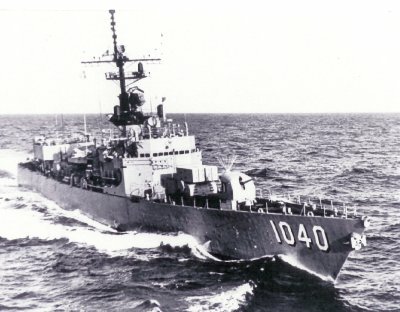 "I served on board DE 1040 from 1965 'till 1967. (In '67 I began training for a tour in the RVN where I served in the Mobile Riverine Force). Getting back to the Garcia, I, along with my brother Mark--who, unlike me, is a plank owner--served in Weapons Division as a member of the deck force. I was 17-years old when I first crossed over the gangplank of the Garcia, and while on board I achieved the "lofty" rank of E-3. There were five other sets of brothers that served on board the Garcia at the same time that my brother and I were members of the deck force."